No matter what type of pain you may be suffering from, it’s hard to see an end in sight. For years, pain sufferers can use and even abuse medications, trying to eliminate their pain. However, that is not what pain medication is made for. Pain medications are a temporary way to alleviate your symptoms. They do not heal. They do not restore. They do not overcome your underlying problems. At Caron Chiropractic Clinic, P.A., we place our sole focus on healing and restoration. 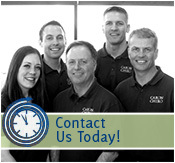 Permanent pain relief is achievable through Caron Chiropractic Clinic, P.A., in St. Paul, MN. When you are injured, be it a chronic or acute illness, many doctors in the urgent care or emergency setting may provide you with some type of medication to help alleviate pain from that injury. This can be an anti-inflammatory, narcotic or even muscle relaxant drug. While they may alleviate the pain temporarily, none of those drugs target the specific area of your body that may be causing the pain. Therefore, the relief is only temporary and more often than not, the pain will return. At Caron Chiropractic Clinic, P.A., we take a different approach to your health. Our goal is to get to the root of your problems and help you find permanent pain relief. Our expert professionals will listen to your problems and do a full evaluation on you, getting to the root of the issues. Depending on the nature or extent of your injury, we will then give you realistic treatment options that work towards your goal of permanent pain relief. At Caron Chiropractic Clinic, P.A., we offer all different types of natural treatment options. Chiropractic care, massage therapy, acupuncture, craniosacral therapy, laser therapy, spinal rehabilitation, and even arthrostim are some of the many treatment options we provide our patients. Often times, we use a combination of these treatment options to heal your body. We believe in holistic, natural healing here at Caron Chiropractic Clinic, P.A., and treat every single person here with dignity and respect. 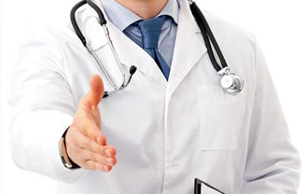 No one body is the same and therefore, depending on the extent of your pain, every treatment plan can vary. However, the goal is always the same. We aim to provide permanent pain relief and promote optimum wellness for everyone in St. Paul, MN. For more information about Caron Chiropractic Clinic, P.A., or to find out more information about permanent pain relief at our St. Paul, MN office, give us a call today at (651) 255-9999. This entry was posted	on Thursday, March 14th, 2019 at 1:58 pm	and is filed under Pain Relief. You can follow any responses to this entry through the RSS 2.0 feed. You can leave a response, or trackback from your own site.